Juicing has taken America by storm. And it’s no wonder—drinking fresh fruit and vegetable juices helps you lose weight and easily absorb essential nutrients, giving you energy and making you look and feel healthier! 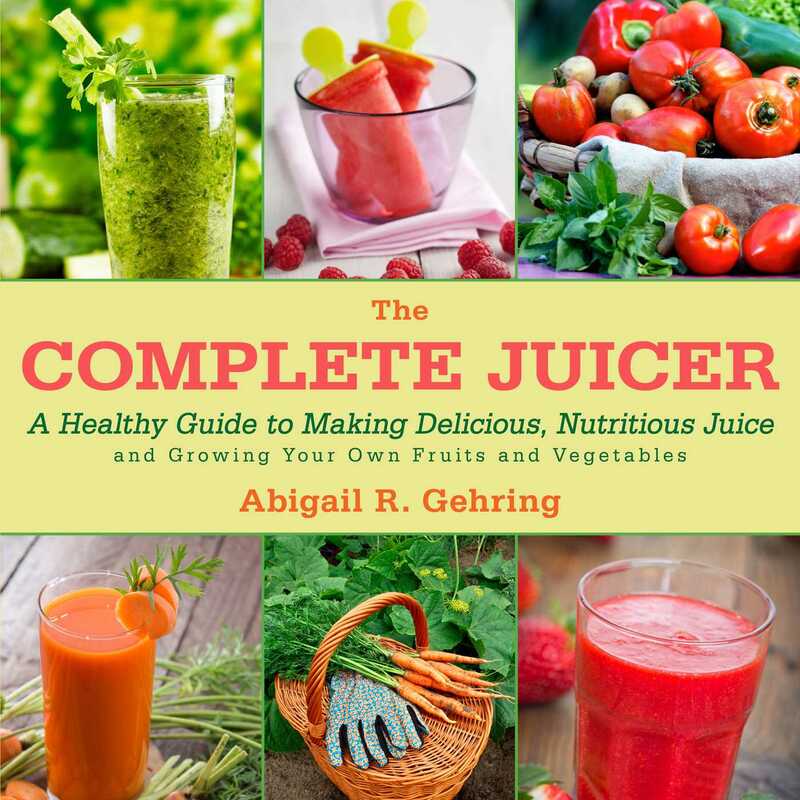 With this book, you’ll learn which fruits and vegetables are the best for juicing and how you can grow them in a small garden plot, in pots in a windowsill or on a porch, or even right in your kitchen. It takes a lot of produce to make a great drink, and that can get expensive. Growing your own is much more economical, and it also enables you to ensure you’re not getting any pesticides or genetically modified ingredients you don’t want to consume! In Grow and Juice you’ll find straightforward instructions for growing beets, celery, spinach, kale, tomatoes, carrots, strawberries, sprouts, wheatgrass, and more! From there, you can choose from sixty recipes for juices, smoothies, sorbets, popsicles, and other treats—all bursting with flavor and homegrown nutrition. You’ll also find charts showing which vegetables contain which nutrients, and tips for storing and freezing your bumper crops for the best nutrition retention and taste. Whether you’re new to juicing or already a stalwart supporter, you’ll find tips and recipes here that the whole family will love.